Take in the views from a terrace and make use of amenities such as complimentary wireless Internet access and a fireplace in the lobby. This guesthouse also features tour/ticket assistance, a picnic area, and barbecue grills. Stay in one of 166 guestrooms featuring flat-screen televisions. Complimentary wireless Internet access keeps you connected, and satellite programming is available for your entertainment. Private bathrooms have deep soaking bathtubs and hair dryers. Conveniences include phones, as well as desks and blackout drapes/curtains. Don't miss out on recreational opportunities including a spa tub and a sauna. Additional features at this guesthouse include complimentary wireless Internet access and tour/ticket assistance. Panorama Hotel is situated in the Old Town of Vilnius next to the Gates of Dawn, the Town Hall Square, the Lithuanian National Philharmonic Society, and the main Old Town streets filled with numerous luxury boutiques, gift shops, restaurants and night clubs. Hotel guests can stay in 224 rooms which comply with requirements set for 3 plus star hotels. Hotel guests can enjoy an impressive panorama of the Old Town and skyscrapers of Vilnius through the hotel windows. Guests are mesmerised by night firework shows in the Vilnius sky held on public holidays and, particularly, on the New Year’s Eve. It is only two minutes of walking from the hotel to the railway and bus stations and the express train going to Vilnius International Airport. Hotel Panorama has a cosy and spacious restaurant, inviting you to enjoy a hearty breakfast and a quick business lunch. Located only 2 km from Shopping center Akropolis and 6 km from Vilnius city centre and Old Town, Urbihop Hotel offers free WiFi and wide parking area. Featuring individual designs, each guest room features a flat-screen TV and air-conditioning. Restaurant “U” offers a variety of international meals prepared from seasonal and local products. A breakfast buffet of hot and cold dishes is served every morning and guests can ask for breakfast a la carte menu for specific requests. 24/7 Lobby Bar will provide guests with snacks and drinks throughout the day. Reception is open over the clock and Urbihop Hotel boasts various conference rooms and different facilities for meetings. Neighborhood is appropriate for various sport and recreation activities in nearby SEB Arena, football area Sportima and events arena Utenos Arena. Enjoy recreational amenities such as outdoor tennis courts and a sauna. Additional features at this hotel include complimentary wireless Internet access, gift shops/newsstands, and a television in a common area. Make yourself at home in one of the 200 air-conditioned rooms featuring flat-screen televisions. Complimentary wired Internet access keeps you connected, and cable programming is available for your entertainment. Bathrooms have showers and hair dryers. Conveniences include phones and desks, and housekeeping is provided on a limited basis. 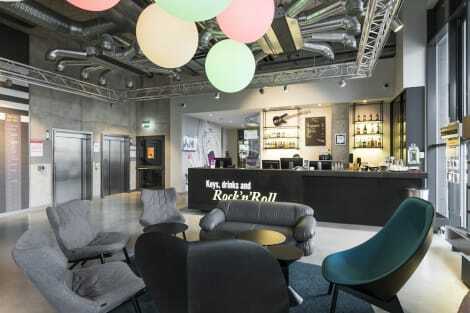 Reformatai Park Hotel is situated in the Vilnius Old Town district. Guests can enjoy the on-site bar and terrace. Rooms come with a flat-screen TV. Some rooms include a seating area to relax in after a busy day. Rooms are equipped with a private bathroom fitted with a shower. Reformatai Park Hotel features free WiFi throughout the property. Museum of Genocide Victims is 900 metres away, Lithuanian National Opera and Ballet Theatre is 1 km from Reformatai Park Hotel, while Gediminas' Tower is 1.2 km away. The nearest airport is Vilnius Airport, 4 km from the property. With a stay at City Hotels Rūdninkai in Vilnius, you'll be within a 15-minute drive of Vilnius Cathedral and Frank Zappa Monument. This 4-star hotel is 0.7 mi (1.2 km) from Great Synagogue of Vilna and 0.8 mi (1.3 km) from Gates of Dawn. 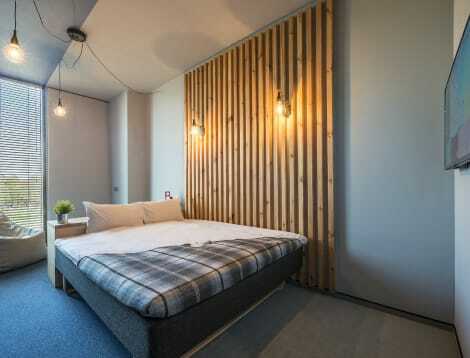 Hotel Tilto is located in Vilnius city center next to the main high-street, Gediminas Avenue. Great connection with all city's attractions. Combination of peaceful, yet central location results in a perfect place to stay while in town on business or leisure. The city center most renowned icons are literally steps away from our doors: Basilica Cathedral, Gediminas' Castle perched upon a steep hill overlooking the area. Old Town, Museums and theatres are also minutes away offering culture and entertainment, while shopping abounds along Gediminas avenue. Business travelers will appreciate the proximity to the new Vilnius Business District and city's commercial centers, many just across the river. Also proximity to the airport takes less than 20 minutes. Central Vilnius hotel with elegant event rooms and a fitness centre Holiday Inn® Vilnius hotel is in the city centre, a short walk from the Old Town. Vilnius International Airport (VNO) is half an hour’s drive away. The hotel is walking distance from the Old Town’s attractions. You can take in a performance at the Lithuanian National Opera and Ballet Theatre. Or visit the nearby Palace of the Grand Dukes of Lithuania and the imposing Gothic St. Anne’s Church. Buses run to city destinations from the stop outside the hotel. You can host meetings for up to 250 people in the hotel’s 6 naturally lit conference rooms, all with state-of-the-art facilities. IBM’s offices are right next door, and other major businesses, such as Microsoft, are based nearby. At this hotel you can enjoy: - Free WiFi throughout the hotel - A fitness centre - A Business Centre with 2 computers and printing facilities - On-site parking for an additional fee The hotel’s stylish rooms come with air-conditioning and pillow menus so you can enjoy a good night’s sleep. Wake up to a hearty hot buffet breakfast in the Rib Room restaurant, and enjoy international menus featuring a selection of signature rib dishes. Join friends and colleagues in the refined, light-filled Lobby Bar to chat over cocktails or single malt whiskies from the extensive collection. The contemporary 4-star Radisson Blu Hotel Lietuva, Vilnius is situated on the banks of the River Neris, just over 5 miles away from Vilnius International Airport. Its facilities include a gym, a sauna, massage services, a salon, the Skybar serving cocktails with city views, and the Riverside Restaurant serving breakfast and lunch buffets. The modern stylish rooms feature free wifi, 32” flat-screen TVs, tea and coffee making facilities, and private bathrooms with complimentary toiletries. A large cosmopolitan city with diverse architecture, a medieval town, churches and a royal palace, there is plenty to see in Vilnius. Vilnius Old Town is its historical centre, home to museums and shops alike. The other half of this beautiful city consists of parks, public gardens and nature reserves. Visit the lakes for a BBQ or bathe in their beauty in the glorious summer months. Part of Vilnius' lively night-life can also be found here, with large-screen popular music events taking place. Experiencing Vilnius Old Town is a must, from the cathedral at the bottom to the Gates of Dawn at the top. The beautiful architecture found here depicts Lithuania's unique history. A free walking tour meets at the Town Hall at midday and takes you on a journey around the town. After you're done you can always enjoy a browse around the many designer shops, restaurants and coffee shops nestled in the narrow streets. Learn about Lithuania's dark history in the Old Town at the KGB Museum, a former prison used by the KGB. The old cells are left as they were so you can really appreciate what happened here. The museum offers both elaborate audio and guided tours to show you all the exhibits and explain the history of the soviet times in this amazing country. Small outside and beautiful inside, St Anne's Church is one of Lithuania's masterpieces. Its red-bricked façade is spectacular, as is the, whether you're religious or not. Bernadin stands next to St Anne's, its Gothic architecture much loved by both artists and tourists. For great panoramic views visit Lithuania's symbol, Gediminas Tower. Walk or take the elevator to the top for wondrous views of the medieval town and modern skyscrapers. Both the museum and rooms on the way to the top explain the history of this famous tower. You'll also see local findings such as swords, armour and artillery, a very worthwhile experience. For perfect food, wine and a magnificent atmosphere dine at Bistro 1 Dublis where you can see your dishes being prepared. Your food choice is ultimately decided by the chefs, but there is plenty of variety. You'll need to book in advance, however, for the best night out in Vilnius. In the centre of town, the Pinavija Café and Bakery is an excellent choice for a quick light meal or a sweet dessert. Home to the best 'Napoleon' cake in Vilnius and other delights, you can enjoy this café's cosy interior or take to eat along the way as you explore more of the city. Vokiecia Street District has the most clubs, many with outdoor seating. Mojo Lounge Vilnius and Absentfejos are both popular with Lithuanian stars. Trendy and stylish, the main action starts in the early hours and continues till morning. However you choose to spend your time you'll find a great variety of excellent Vilnius hotels in which to stay.